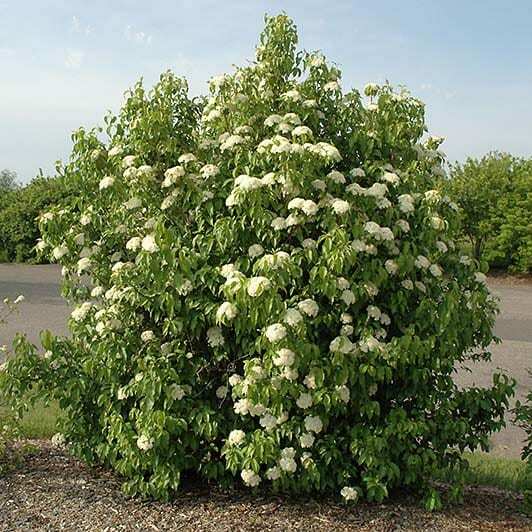 Nannyberry Viburnum is a large growing “leggy” native shrub that can be pruned into a small tree form. It produces 2-3″ clusters of white flowers in the spring. Mature fruit are black in color. Fall color is deep maroon to red. The glossy, green leaves are 1 1/2″ wide and up to 4″ long.